Spot Reduction – What is the Truth? Spot reduction is the very seductive belief that by doing specific exercises fat can be removed from specific areas of the body. For example, believing that doing lots of sit ups will result in the reduction of belly fat. Unfortunately, our bodies don’t work like that. Ensure that you include full body, compound exercises. For example, squats are a complex lower body exercise working multiple muscle groups, and some of the largest in the body, therefore you will expend more energy. The chest and back in the upper body should also be included. You can work these areas individually within a balanced programme, or, for the more advanced exercisers, they can be combined – giving even ‘more bang for your buck’. Forget about too many ‘body part’ exercises. Don’t waste time trying to ‘tone’ specific body parts. Instead, work on your entire body and try to involve as many muscle groups as possible for each exercise. Pay attention to your genetics and body type. Those of us who have lost and gained weight over the years may know that the first place you notice weight gain may also be the last place you lose it. 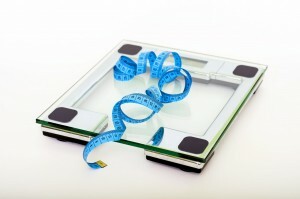 For example, you may first notice weight gain around your belly or your hips. When you lose weight, you may want it to come off those places, but it may actually come off somewhere you’re not at all concerned about. Looking at your family members can provide a clue about your own body. For example, does everyone tend to store excess fat around the middle? Or maybe there’s a distinct pear shape in the family? 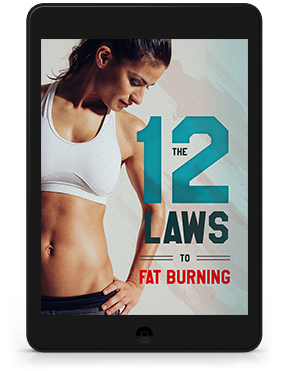 That influences how your body loses fat and accepting that can mitigate the frustration you may feel about a lack of results. Embrace the uncertainty. I know, from my own experience as well as working with clients over the years, that this is not what anyone wants to hear. But the truth is that no one can really know how much you can change your body until you try and start to do the things you need to do to lose weight such as targeted and appropriate exercise, a healthy diet, stress management, good sleep, and an overall healthy lifestyle. Practice those behaviours and don’t worry if it takes longer than you think to make them stick. Once you get some consistency, your body will respond. Untangle yourself from the spot reduction myth. This is undeniably hard to do when it’s still perpetuated in so many ways, for example companies selling ‘miracle’ gadgets or weight loss supplements. Some health clubs may even try to sell the promise of a perfect body to boost their memberships. Spot reduction is a myth, don’t fall for the false promises.